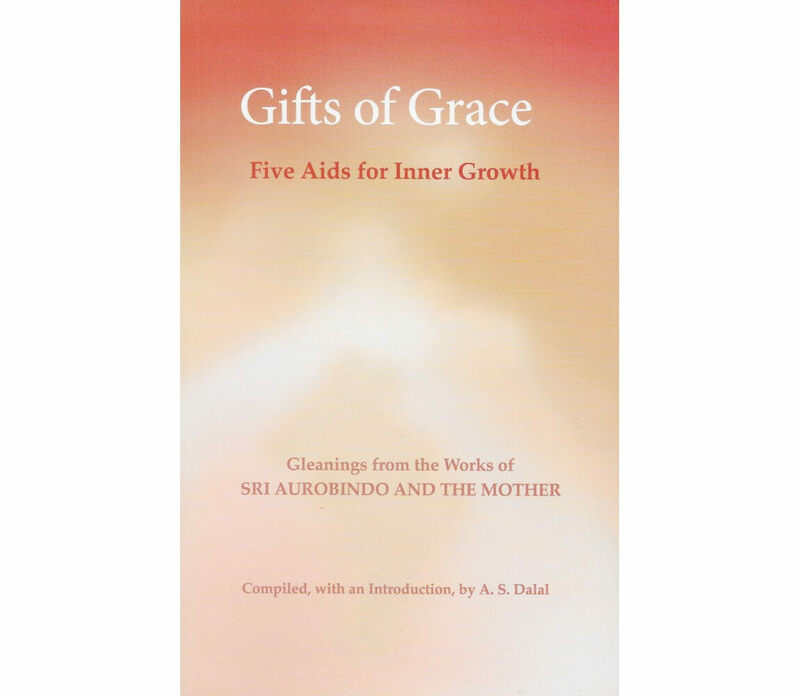 This compilation delves into a study of five aids for inner growth, “gifts” from the Grace which acts as an evolutionary force behind the appearances of life to lead and guide humanity towards the divine realisation which is its destiny. The five aids are aspiration for progress, will for progress, faith and trust, difficulties and suffering, and the psychic being. Selected passages provide the reader with definitions of key concepts such as the roles of personal effort and surrender in the will for progress, understanding the relation between desire and aspiration, and learning to recognise difficulties as the means to make a swifter, more complete progress. 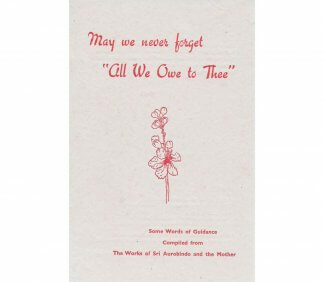 This is another compilation by Dr. A. S. Dalal, whose earlier compilations from the works of Sri Aurobindo and the Mother, such as Our Many Selves, are well known to those interested in the Integral Yoga. Dr. Dalal explains that this compilation can be useful to all seekers of inner growth, no matter what path they follow. For those who are familiar with the original works, the book can be used for a more focused study of a particular subject in order to gain a possibly clearer and fuller understanding’. In his preface he also gives the rationale for the title Gifts of Grace: Five Aids for Inner Growth. In common parlance, the word ‘grace’ implies some sort of arbitrary act, a mercy or favour by God or the Divine, who distributes His Grace’ as freebies to those with whom He is pleased. Dr. Dalal dispels this popular notion, defining Grace as ‘the all-powerful, all-knowing and all-beneficent evolutionary Force which impels and guides human beings towards self-realisation’. The Divine is always in a state of Grace. If man can but open himself to receive this ever-present Grace by his aspiration, will and faith, he can achieve the ultimate goal of human existence: God-realization or Self-realization. Coming to the reason for arranging this compilation under the headings chosen by him, he reiterates what the Mother had already said, that the writings of Sri Aurobindo and Herself ought to be studied by subject. In this book these subjects are: Aspiration for Progress leading to the strengthening of the Will for Progress, aided by Faith and Trust in the Divine Grace, undeterred by the ubiquitous Difficulties and Suffering which everyone faces and undergoes for the ultimate realization of one’s own truth of being, the Psychic Being – this is the progression that unfolds in our terrestrial existence. How can aspiration be a gift of Grace? Aspiration for progress is a sure indication that there is an awakening in man, a yearning to come out of this darkness of ignorance and be born in Knowledge, Truth and Light; hence the prayer, ‘asato mam sat gamaya, tamaso mam jyotir gamaya, mrityor mam amritam gamaya.’ (Lead me from ignorance to Truth, from darkness to Light, and from death to Immortality.) It should be clearly understood that aspiration is not desire, ‘which is always a turning back upon oneself’, ‘which is always something which one draws to oneself’. The Mother clinches the issue when she says that ‘desire is a vital movement, aspiration is a psychic movement.’ If the aspiration is pure, unsullied by desire, it is a powerful tool to strengthen the will for progress. Dr. Dalal has included a wonderful collection on this subject, culled mainly from the Mother’s Questions and Answers volumes. However, mere aspiration for progress, though an essential requisite for progress, is not sufficient. A constant and unflinching will for progress must also be there. Will is the ichchha shakti in man. There is a widespread misconception that the Divine will do everything for us, even the willing. Man must will to be free from ignorance, will to launch himself on a never-ending journey of progress towards freedom and self-mastery, and for that a certain amount of tapasya, or self-effort, is indispensable. There is a need for personal effort prior to complete surrender, especially in the early part of the sadhana. Christ said, ‘Ask; and it shall be given you; seek, and you shall find; knock, and it shall be opened unto you.’ We have to ask, seek and knock; that is the minimum we can and should do. Aspiration and will are only the first two elements of the three-fold effort of man in his quest for Truth. Aspiration can fluctuate and the will can flag if there is no persistent faith to prop them up, for faith and patience are the first requisites in Yoga, nay, in every human endeavour, mundane or spiritual. An unshakable faith is a sign of the presence of the Divine Will in us, but for that to happen one must have a childlike faith not only in our spiritual destiny but also in the Divine, who carries us through all our ups and downs as the eternal guide, friend and unfailing companion. The popular adage ‘Faith can move mountains’ is not a mere slogan but a practical truth, exemplified in the lives of great men. In the fourth section of his book Dr. Dalal has included difficulties and suffering as a grace of the Divine. Man’s vital always shrinks from suffering. Brave souls know the truth behind suffering, for it comes as a God-given opportunity to make further progress. Suffering highlights a much lesser-known truth – we have in us divine possibilities; we also have that which opposes their realization. It is the inner Kurukshetra where the bitter war is fought and victory is certain, for the Lord is there to lead us to victory. He is seated in our hearts as the Divine Charioteer to whom we can surrender all our weaknesses, fears, doubts and difficulties. 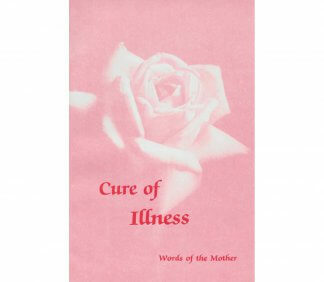 Dr. Dalal has reserved the fifth and last section of this compilation for what, I feel, is the most important contribution to spiritual philosophy by Sri Aurobindo and the Mother-the most glorious and unprecedented contribution that has ever been made by great spiritual personalities that came to the earth at different times to uplift mankind from the mire of ignorance to matchless divine glory-the Psychic. The Psychic is not an intellectual concept, nor is it a speculative philosophy, but rather an experiential reality, an undeniable fact of human existence. Here one must not fail to state that many people are bewildered by the plethora of terms such as soul, psychic being, jeeva, or jeevatman, which are used in this connection. Confusion is worse confounded when even knowledgeable people use these terms indiscriminately and indifferently, using them as synonyms or worse, making a mess of the subtle nuances in the differences that characterize these terms. Shri Krishna says in the Gita that paraprakriti (supernature) has become the jeeva and it is an eternal portion of the Divine, amsah sanatanah. Dr. Dalal has gathered all that Sri Aurobindo and the Mother have said in this connection, and the reader is advised to carefully read and assimilate the truth of this most wonderful grace, a special gift of the Divine to man, a unique terrestrial phenomenon designed to manifest the Glories of the Many in the One. It is the psychic being, immortal and of the Divine essence, which is present in every man and which evolves through all births and deaths. When it comes to the front of the being and takes charge of our life, we can take the first glorious step towards the supramental transformation, which is the goal of evolution. Psychic realization opens the doors to spiritualization which in turn will culminate in supramentalization, the goal of the Integral Yoga. Sri Aurobindo and the Mother emphatically say that this supramental realization is a logical inevitability and decreed by the Divine as the goal of human evolution. 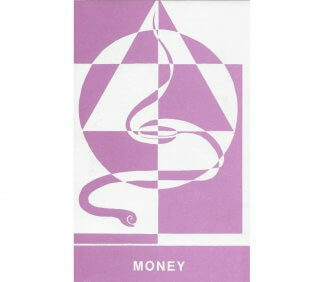 The book will undoubtedly be a great help for sadhaks and others with similar interests. One must admire the tireless zeal with which Dr. Dalal has been bringing out such compilations. The glossary of names, Sanskrit terms and special terms as well as the references to the original texts enhance the value of this book. But I still cannot help asking myself why this otherwise well-written work should be without an index, which would have been so helpful for quick reference. Bala-bhai has been teaching English, Mathematics, and Numerical Analysis at the Sri Aurobindo International Centre of Education since 1972.